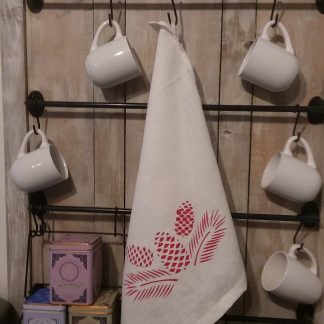 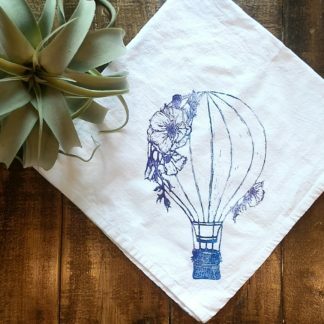 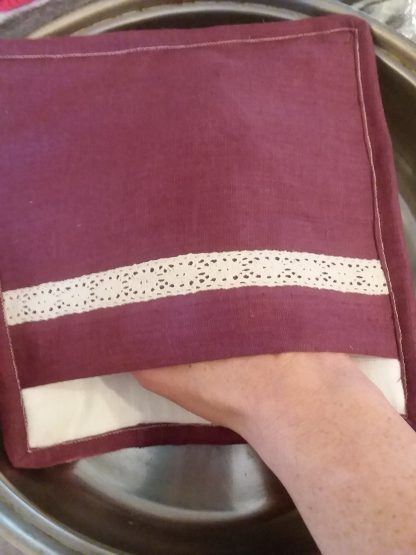 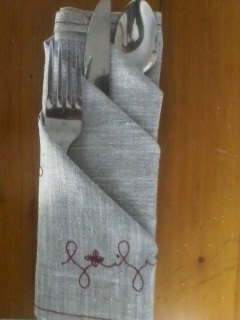 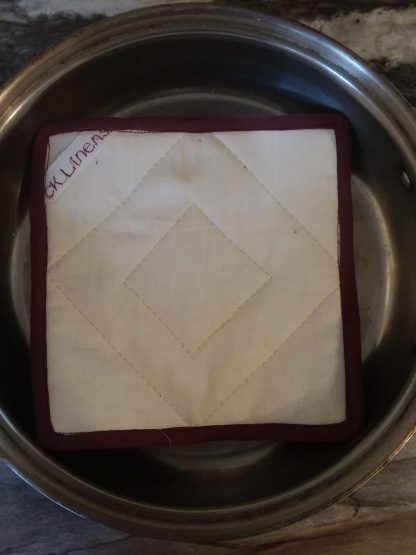 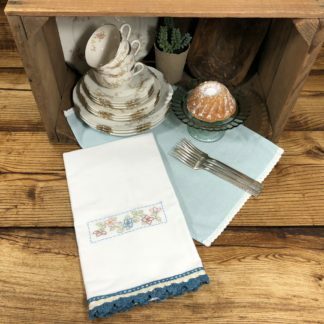 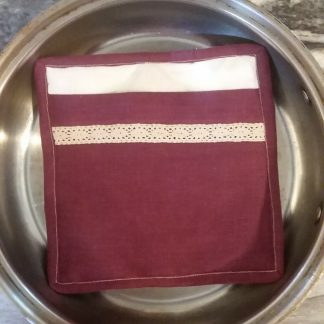 Approximately 9″ square pure Linen shell pocketed potholder. Pocket makes it handy to hang onto. 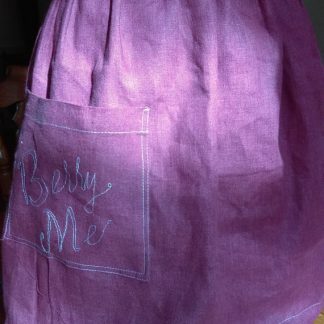 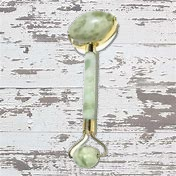 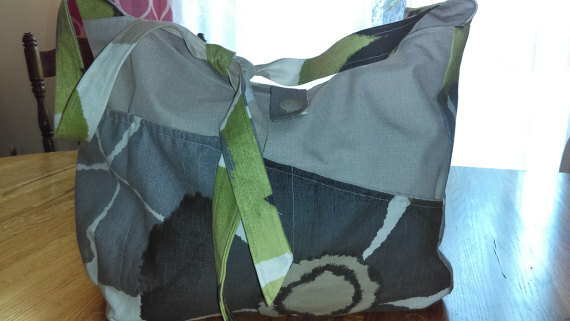 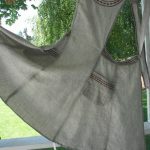 Includes a cotton twill hanger. 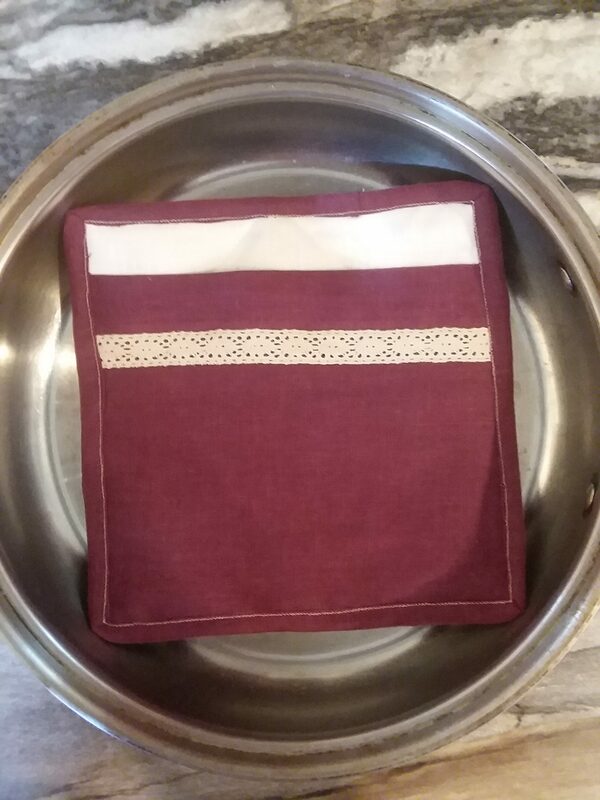 Triple layer filled with pure cotton batting. 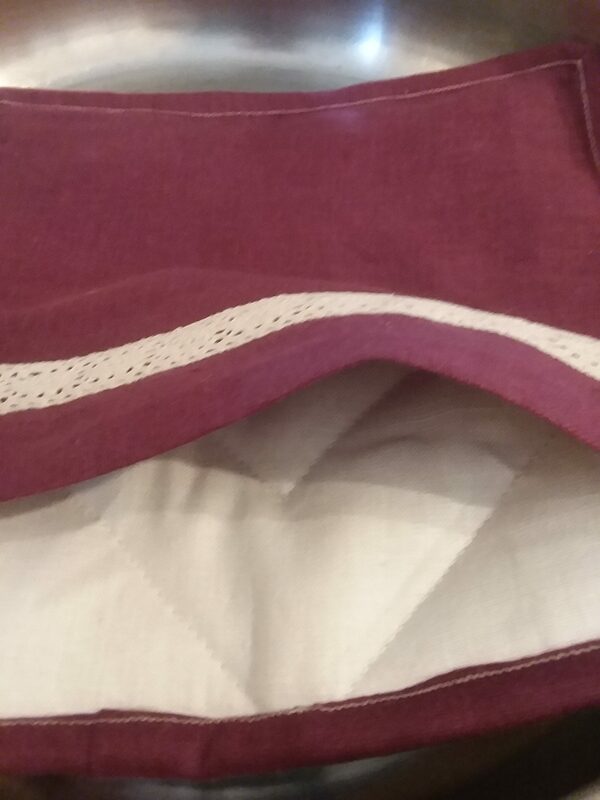 Burgundy trim and pocket and bleached linen shell.